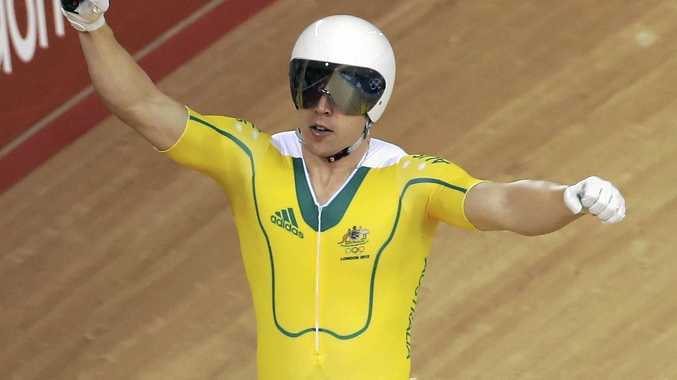 AUSSIE track cyclist Shane Perkins has changed allegiances to Russia in a dramatic bid to make the 2020 Tokyo Olympics. The 2012 Olympic bronze medallist was dumped by Cycling Australia's high-performance program in the lead-up to the Rio Games and is in the process of securing Russian citizenship. Perkins is racing in the Track World Cup in Colombia this weekend for Japanese professional team Dreamseeker after a lengthy stint racing the Japanese Keirin Series. But he is now set to go to this year's world championships for Russia, although he does not have to relinquish his Australian citizenship and will hold a dual passport. The 30-year-old has relocated with his family from Adelaide to Brisbane where the national championships will be held next month, but Perkins will not be on the start line to defend his Australian keirin title. It's understood Perkins is close friends with Russian sprinter Denis Dmitriev, which helped sway his decision to switch national allegiances in a desperate bid to extend his international cycling career. "The Russian Cycling Federation has given me another opportunity to chase my dreams of Olympic representation in Tokyo 2020, which has special significance to me as my father (Darryl) raced the Olympics in Tokyo in 1964," Perkins said. "I've spoken to Cycling Australia's high-performance program and staff and they have been supportive. "I'm grateful to Cycling Australia for the support that they have given me throughout my career, and I'll continue to be involved while I'm home in Brisbane, in particular with the junior Jets program and its upcoming stars of the future." Perkins started talks with Cycling Australia about the switch last November and the sport's governing body did not take issue with his move. Perkins won a bronze medal in the sprint at the 2012 London Olympics and is a two-time world champion in the team sprint and keirin. He was overlooked for selection for the Rio Olympics as Cycling Australia opted for youth with Matthew Glaetzer, Pat Constable and Nathan Hart combining to finish fourth in the team sprint. Australia's track cycling team won just one individual medal in Rio, which was bronze to Anna Meares in the keirin.